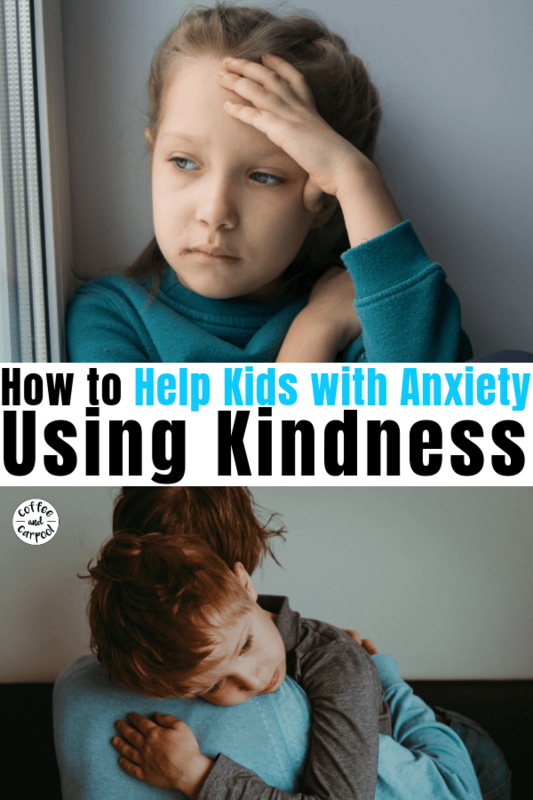 Inside: Parents can use kindness to help kids with anxiety cope and manage their anxious behaviors in healthy ways without our negative judgement. I got a call from my eldest daughter’s school. And I panicked for a second. Why is the school calling me? I ran all the awful scenarios through my head. But I needn’t have worried…too much. It was a counselor at my daughter’s middle school and everything was fine, she reassured me. Really. She told me she had asked teachers for names of students who showed anxious behaviors and might benefit from strategies that could help with stress management and cope with over-worrying. She was going to send me paperwork so my daughter could attend a school lunch club that would give her some extra coping skills to help with her anxiety. My husband and I just had to sign it if we wanted her to get some extra help. She then asked me a question I really didn’t have a definitive answer to. 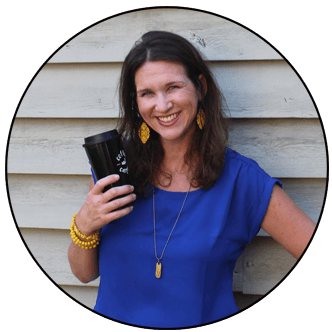 “Would it surprise you to know,” she asked, “that your daughter’s name came up from several teachers as someone who would benefit from a group like this? Yes, it surprises me. She has not been diagnosed with anxiety. We’ve never used that word to describe her. She does not have diagnosed anxiety. But at the same time, no. It doesn’t surprise me. She shows signs of anxious behavior often. She has big worries and big emotions. She gets nervous. And she fidgets. Does she have anxiety? I don’t know. Do I? I don’t know. But I do know a few things. Mental health issues, including anxiety and anxious behaviors, need more. More adults paying attention to them. What are anxious behaviors and anxiety? Because of the stigma surrounding mental health, I really didn’t know the official definition of anxiety. Because as a society, we rarely talk about it. I know I’ve felt anxiety, but I couldn’t really put it into words. So I looked it up. Synonyms of anxiety include: worry, concern, apprehension, uneasiness, fearfulness, fear, disquiet, perturbation, fretfulness, agitation, angst, nervousness, edginess, tension, stress, misgiving, trepidation, foreboding, and suspense. Well, with that definition, I will bet we’ve all felt anxiety in our lives as we faced an “imminent event:” the night before a job interview, right before we walked down the aisle, as we went into labor for the first time. Being anxious or having anxious feelings about big moments is a normal, everyday part of life. And for our kids and tweens and teens, big moments aren’t interviews and weddings and babies. It’s the night before a test. It’s walking past the kid who’s always mean to you. It’s making a mistake and worrying about how adults will react. All kids feel some degree of anxiety and anxious behaviors. And we need to help kids with anxiety using coping skills to manage their big emotions and big fears and big worries. But some kids feel these things more than other kids. Or longer than other kids. Or need more help with their coping skills. And for some kids, the anxiety increases and it interferes with their everyday lives when the fear and worry and nervousness becomes too much to manage on their own. As many as 1 in 20 kids have an anxiety disorder, so even if your children don’t have anxiety, they know someone who does. 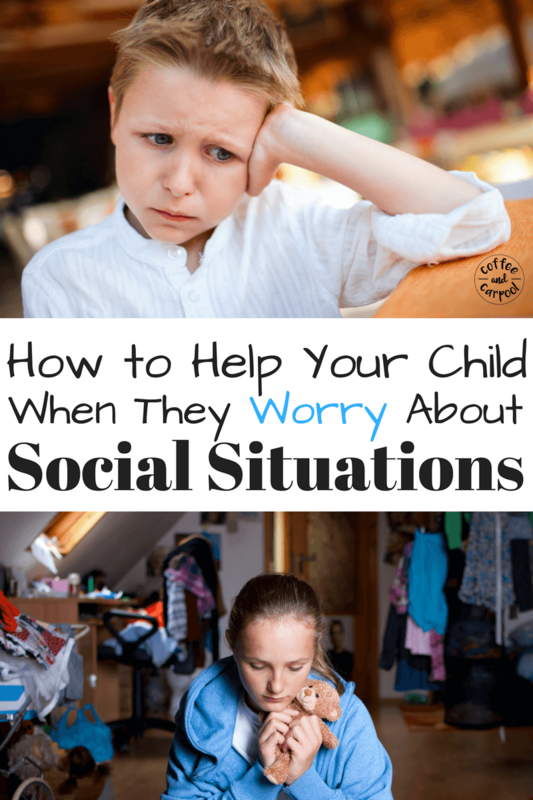 And even if the kids in your life don’t have diagnosed anxiety, the chances they have anxiety or exhibit anxious behaviors when faced with big moments is pretty high. So how do we help our kids with their mental health? 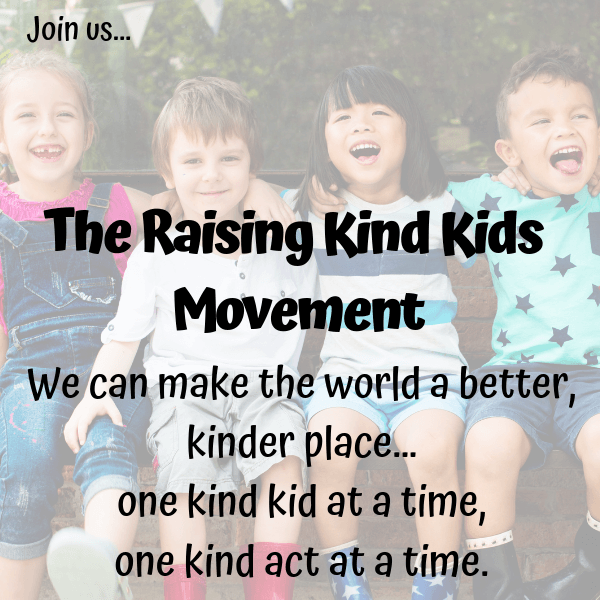 How can we support kids with anxiety or anxious behaviors with kindness? 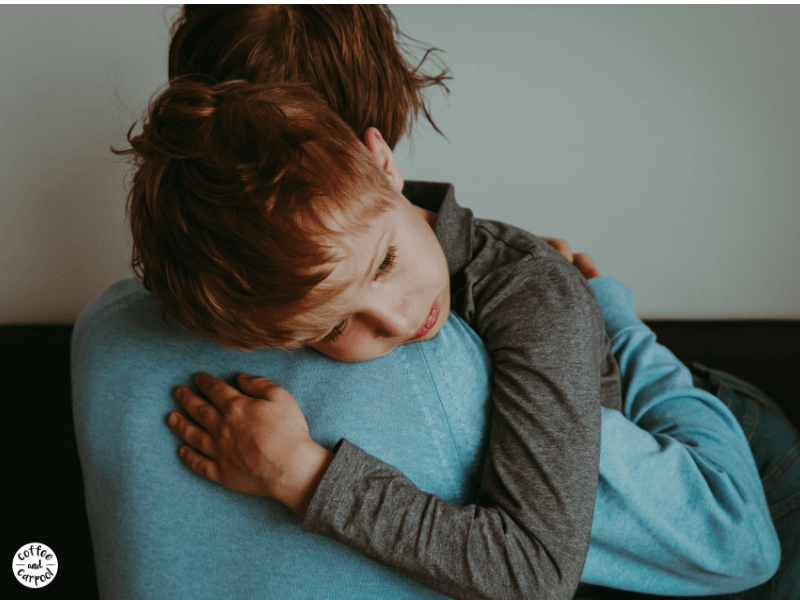 Again, because mental health is so rarely talked about, we also don’t talk about how to best support our kids who show anxious behaviors, anxiety, or anxiety disorder. A parent in my son’s classroom accidentally replied all to an email she thought she sent just to the teacher about her son’s anxiety. And she was horrified. And then begged us not to tell our kids. And my heart went out to her. But then it also made me wonder. Would she be as horrified if she had accidentally written about a physical health problem instead of a mental one? As a society, we need to move past our misgivings about mental health so we can help all of the kids in our lives: our own children, their friends, and their classmates. So what’s the best way to help our kids? First, if your child could benefit from help, get them help from a professional. Therapy is not a dirty word. Psychologists can help. There are strategies they can learn that will help them. Does your child need help and you’re not sure where to turn? Contact the Anxiety Hotline Number. Want more information on ways to help kids with anxiety? Check out these tips for helping kids with anxiety from Anxiety Acceptance. And then, please, for the love of everything, approach the rest with kindness. Kids with anxiety don’t need shame. They don’t need to have their emotions belittled, brushed off, or ignored. We can be supportive by acknowledging their feelings and emotions without putting our own negative spin on it. As our kids struggle with big emotions, and big fears, and big worries, choose your words carefully and speak those words with kindness. 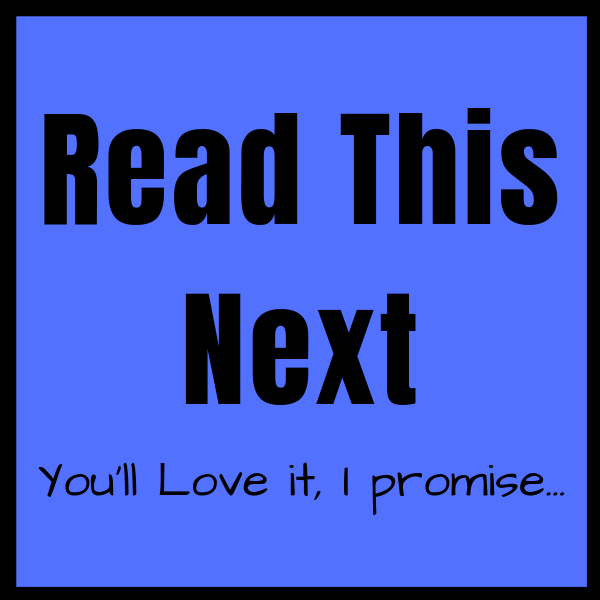 Want a downloadable version of this? The link is at the bottom of this post. 2. How can I help you? 3. It will be okay soon. 4. I’m going to stay with you until you feel better. 5. Take a deep breath with me. 6. This will end soon. 7. What can you do to make yourself feel better? 8. You will get through this. 9. Can we solve this problem together?? 10. You are safe. I will help you stay safe. 11. It’s okay to worry. 12. It’s okay to stop worrying. 13. Do you want to tell me what’s worrying you? 14. You are strong and brave. Tonight I walked into my daughter’s bedroom to tuck her in and she just started crying. She was uncertain. She was nervous about the change. And she was overwhelmed with her sadness about it. All I could do was hold her, hug her, and tell it was okay to cry. It was okay to be sad. It was okay to not know what was going to happen next. I told her I loved her. Over and over and over again. And then I came downstairs and signed the paperwork so she could join the school lunch club that helps kids with anxiety. Because we can all use all the help we can get. All the acceptance we can get. And we can all use more kindness. 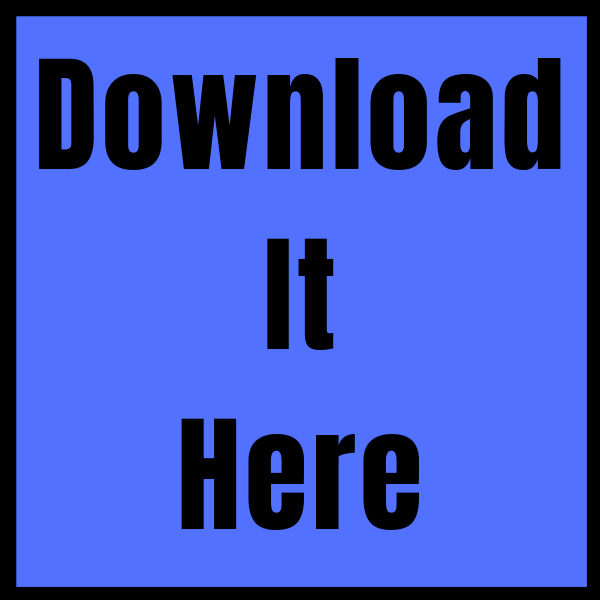 Get a downloadable pdf of the 15 things to say to a child who has anxiety or anxious behaviors. 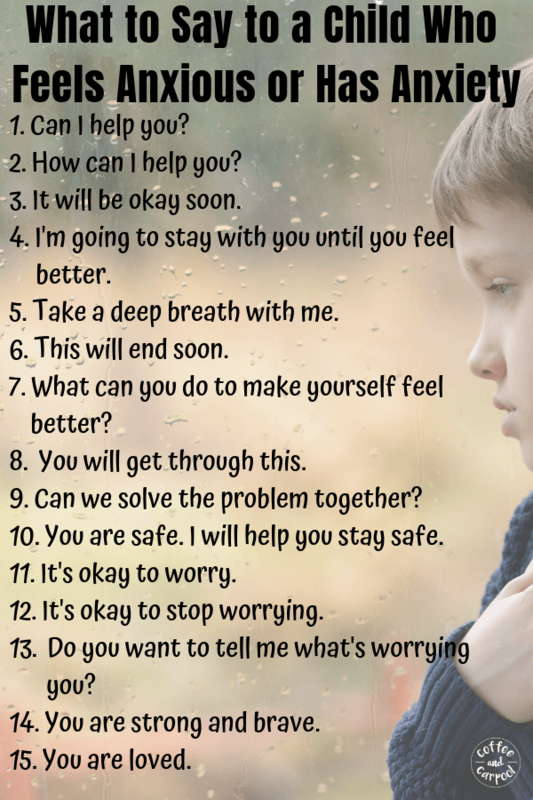 Print it out, hang it on your fridge or in your classroom to help you know what to say when your child or student is having big emotions, big fears, or big worries.